We also run mass production garment manufactur­ing and bulk order alteration­s. 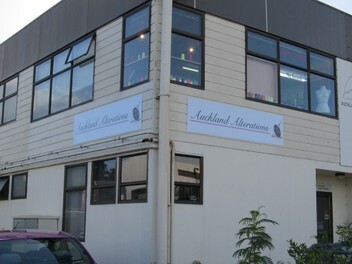 Auckland Alterations is run by Designer Owner Cecilia Cheng, Bachelor of Fashion Design AUT Graduate. Her pieces have been shown at World of Wearable Arts, L'Oreal Fashion Week and more. Brought up from a fashion manufacturing family in Hong Kong, Cecilia has over 20 years experience in pattern making and dress making. Clients include Trelise Cooper, World, Stolen Girlfriends Club, Jane Daniels, Pearl and Events sports apparel. Cecilia serves customers with attention to detail, providing an expert opinion on fashion concepts to restyling. Cecilia enjoys working with her customers' own designs and bringing them to life. Please feel free to make an appointment with Cecilia to talk about your needs. Curtains and Roman Blinds made. Cecilia: Thank you so much! Excellent service! I needed a dance skirt to be made in a short time, and they nailed it! Highly recommended! Cecilia: Hi. Thanks for your trade and you are so nice.